It's Friday night and I made an Enchilada casserole. I brought 2 packs of yellow corn tortillas, a large can of enchilada sauce and a can of green chiles in my luggage. We invited Grant, Alina and Anna over for dinner. They seemed to enjoy the food, but Shannon and I really enjoyed it. We made Margaritas, Carl's recipe, with the Grand Marnier too. Shannon is holding court, you know how she loves a party. I haven't blogged for a few days. I get so busy during the day, and then by evening I'm in bed by 10. 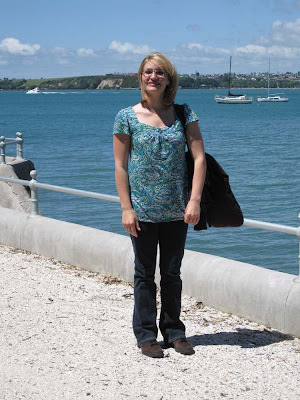 On Wednesday, we went to Devonport, a little town across the bay. We went through the shops and ate lunch at a little cafe that has the best food I've eaten so far. Here we are after the delicious lunch and shopping. 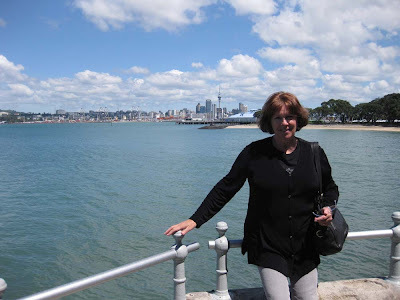 We walked along the sea wall and looked out at the city across the water. The little houses that line the street are so cute, all Victorian looking. All of the homes are old and there's a little space between them, not crowded like Balboa, but it kinda reminds me of that. 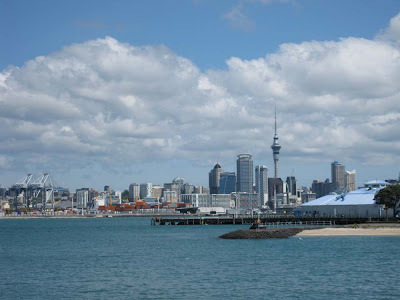 Downtown Auckland from across the water in Devonport. We drove up the street to the top of the hill, Mt. Victoria. It's the site of an old fort. 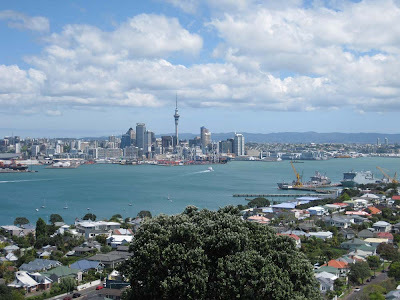 From the top of the hill you can see Auckland city and Bay. 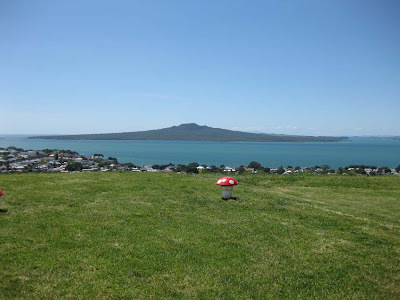 Here's a volcanic island Rangitogo (sounds like that). This video was taken from top of Mt. Victoria. 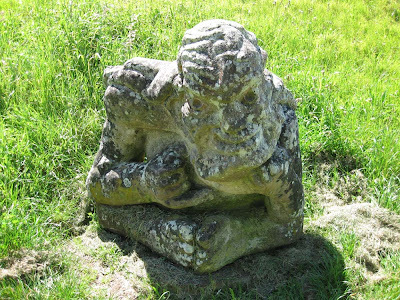 We found this carved statue while looking around on the hill. 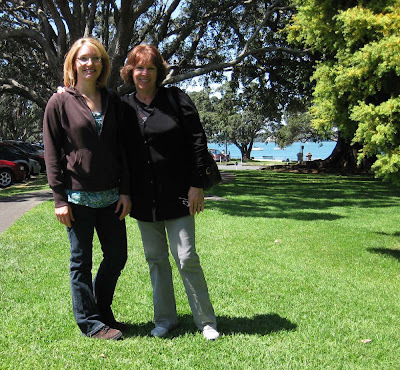 We drove around the hill to Cheltenham beach. Here is a video of the beach. 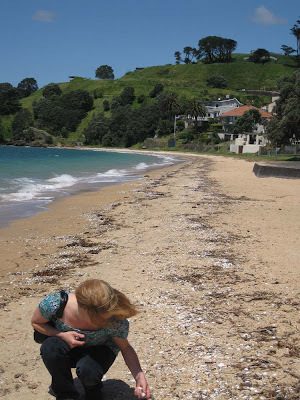 Cheltenham beach, Shannon picking up shells. There are so many shells on the sand. 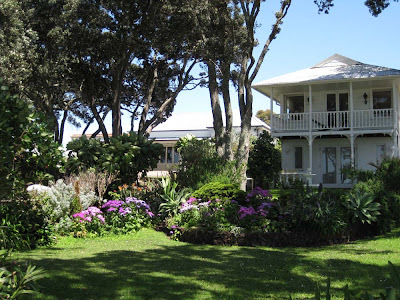 This is a really nice home right on the beach, with a lovely garden. 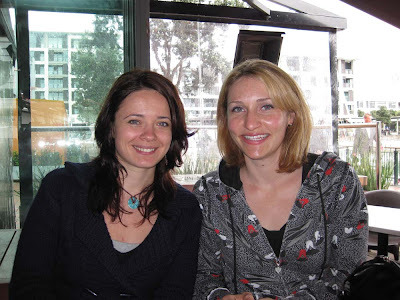 On Thursday, we took the bus to the viaduct (the harbor) and met Shannon's friend, Alina, for lunch. I had pizza. 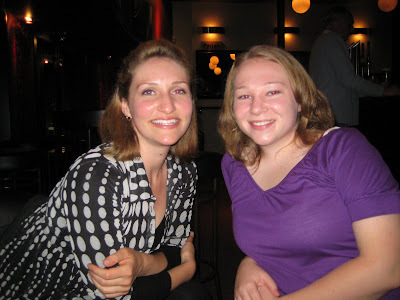 In the evening we went to the Ivory Lounge, a piano bar in Parnell, and met up with her friend Anna, who happens to be a nanny from New Jersey on a one year working holiday visa, just like Shannon. 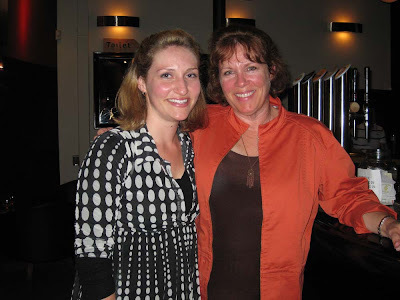 Shannon and I at the bar. So today, Friday, I stayed in my PJ's all day and we painted all day long. Then in the evening we had the enchiladas. 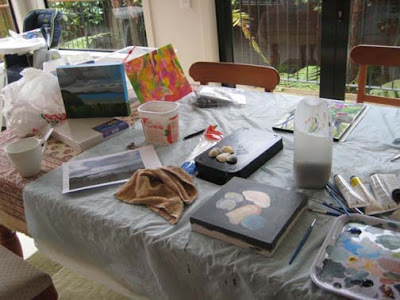 Here's our art table, we covered it in plastic. 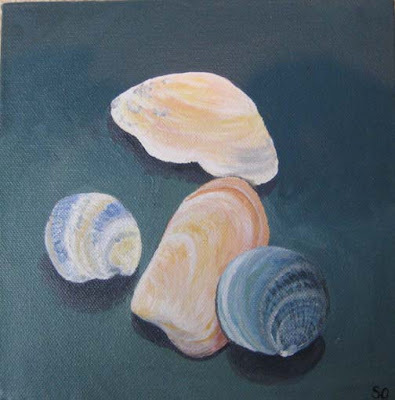 This is Shannon's painting of the shells she found the day before. 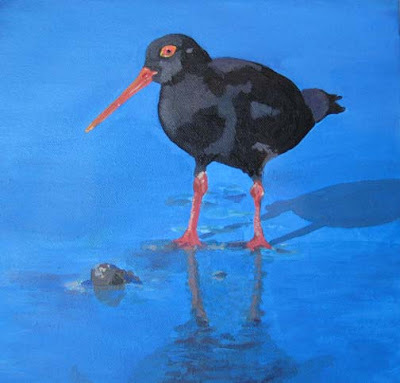 This is my painting of a bird from a photo Shannon had on her computer. I made the enchiladas during the day, while Shannon worked out to a Tae Bo DVD I brought her from the States. Her friends came over for dinner, then they went out dancing around 10:30. I stayed home and did this blog and now I'm going to bed. We have a big day tomorrow. We're going to a Jazz and Blues concert taking place on an island in various vineyards. Ready about it in a couple of days.